In honour of International Safe Abortion Day, Wednesday, 28 September 2016, ALRANZ Abortion Rights Aotearoa is screening the award-winning documentary, TRAPPED. 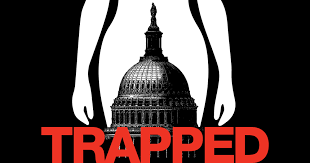 TRAPPED tells the story of how clinics in the states are responding to new abortion restrictions that anti-choice legislators pretend are designed to protect patients from abortion providers, but in fact, exist to make abortion more expensive and harder for patients to access. There is one difference between the situation in the USA and in New Zealand. In the USA these TRAP laws are a new phenomenon. But pregnant New Zealanders have been dealing with the same pointless restrictions, and getting the same pointless runaround, for almost 40 years. Back when the Contraception, Sterilisation and Abortion Act was passed, Parliament was openly trying to discourage abortion, giving patients as little control and freedom as they could get away with while still providing an alternative to unsafe, illegal abortion. Now, most people have worked out that it is not the government’s place to force people to bear children they don’t want. When will Parliament come to the same conclusion? Join us at the Lighthouse Cinema in Wellington at 6pm for TRAPPED, and stay for an informal panel discussion afterwards. If you live outside Wellington and you are interested in seeing TRAPPED in your town, contact ALRANZ Abortion Rights Aotearoa at info@alranz.org.